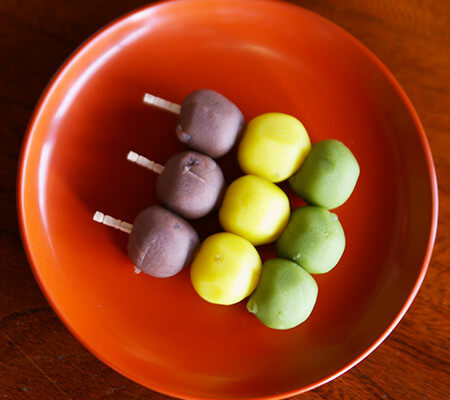 A dango is one type of so-called Wagashi (refer to #011). 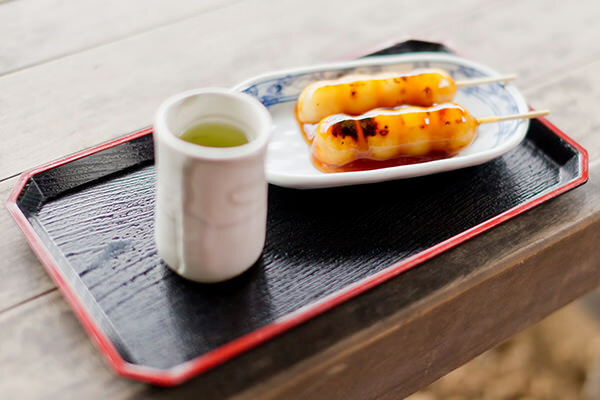 Dangos are all round shape and are served on a skewer in many cases. You can find a wide variety of dangos in this country. Japanese people eat dangos all year around, especially on the occasion of Hanami (refer to #002) and Tsukimi (refer to #049). Japanese people love dangos so much that the song Dango Three Brothers released in 1999 became a social phenomenon and sold more than 3.5 million copies, which is the fourth largest sales in Japanese single CD sales history.